The Olympus PEN E-PL9 is a solid if modest refresh over its predecessor the E-PL8, which is already a versatile camera. Despite its plastic build, the E-PL9 feels like a solid bit of kit, which is more than can be said of some other entry-level CSCs. The dials and buttons feel great and working your way around the camera is a breeze. Composing and viewing images relies on the versatile touchscreen, which works a treat. If it were up to us, we’d prefer the screen to flip up above the camera rather than below it. Unlike many other camera systems, entry-level in this case does not necessarily mean smaller, but simpler. The E-PL9 is around the same physical size as high-end Olympus mirrorless M43 cameras, but it is less comfortable to hold. The camera is quick in all areas. Start-up is speedy and wireless connections are refreshingly straight-forward. AF speed is very fast and more importantly accurate, especially in daylight. It’s our opinion that the E-PL9 will put a smile on the face of photographers of all skill levels. Those that know what they are doing will enjoy quick access to manual controls, while all will enjoy the fun AP Mode. Quick access to creative modes has been a forte for Olympus mirrorless cameras and more-than-ever in the E-PL9. If your key concern is still image quality, then there is little reason to choose the E-PL9 over what is now a cheaper E-PL8 or even the E-PL7 - they are all nigh on the same, which is no bad thing. Really the key improvements are in video image quality and versatility. 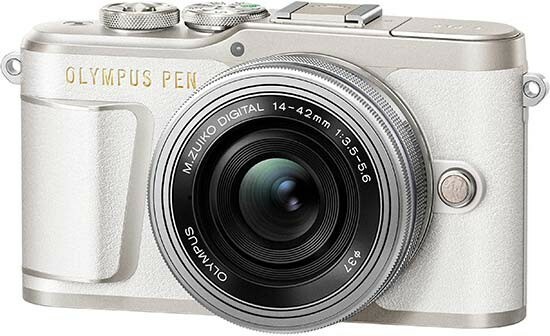 Bottom line, the Olympus PEN E-PL9 is not the most exciting update we’ve seen. Those into video making are best served by the improvements in this latest model. AF speed impresses, it’s good to see the built-in flash return (though sadly see the accessory port removed), wireless connections work a treat and the new graphical interface is fun. In it’s own right, the Olympus PEN E-PL9 is an excellent entry-level compact-system-camera with more features than most.